Dr. Nenshi earned a Diplomate degree from the American Chiropractic Neurology Board (ACNB) in 2014. Since then the application of clinical neuroscience and neurological rehabilitation have become an integral part of her practice, especially when serving patients with brain and spine injuries. As a practicing chiropractor in Alberta with special interest in brain function and plasticity, Dr. Nenshi’s uses safe and effective methods for promoting functional health of the body’s complex community of cells, organs, tissues and systems. Dr. Nenshi believes your 6 senses, sight, smell, taste, touch, sound and proprioception, can offer valuable information about how your brain and nervous system are working. Once a diagnosis is obtained, Dr. Nenshi will use an integrated whole brain-body approach to remove stress and increase function in your nervous system. Improved brain and nervous system function leads to improved health in your body. What is Application of Clinical Neuroscience and Neuro Rehabilitation? Is Application of Clinical Neuroscience and Neuro Rehabilitation a replacement for traditional medical care? 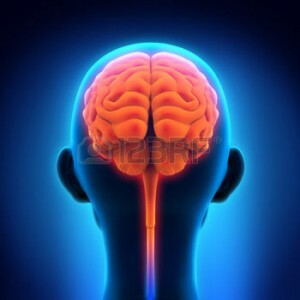 Does application of clinical neuroscience and neuro rehabilitation cure neurological disease? Do you need to have a neurological condition or symptom to have a Clinical Neuroscience and Neuro Rehabilitation examination? 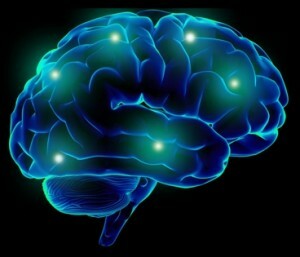 Brain based research studies show the brain has plasticity, a term meaning we can stimulate neurons to grow! Application of Clinical Neuroscience and Neuro Rehabilitation is the application of various therapies that aim to enhance neuron function. Using vision, taste, smell, sound and movement, these applications aim to stimulate receptors that in turn impact the brain and nerve system pathways that control the function of the body’s complex community of cells, organs, tissues and systems. No. Our care is not intended to be an alternative to treatment by a medical neurologist. Our services are complementary to medical care. We encourage close collaboration with numerous medical providers including neurologists, neurosurgeons, physiatrists, internists, and primary care providers, and in many circumstances we require you to be under medical care in order for us to take your case. No. We cannot cure neurological diseases, or change the ultimate outcome for someone with a neurodegenerative condition. We treat people, not their diseases. Our care is not designed to fix incurable conditions. Rather, our care is designed to improve function in the parts of the nervous system that still work in order to promote the best possible quality of life for our patients. When you develop a neurodegenerative disorder such as Parkinson’s disease, Alzheimer’s disease, or multiple sclerosis, some nerve cells are unfortunately lost, and some pathways in the nervous system are irreparably damaged. There is nothing we can do to change that. However, when you have such a condition, we can often find ways to influence the remaining working parts of the nervous pathways that still are healthy and precisely stimulate and exercise them, in order to make them more efficient, increase their endurance, and improve your ability to function in the world. No. Application of Clinical Neuroscience and Neuro Rehabilitation Examinations are very detailed and assess function of the central and peripheral nervous systems. Baseline neurological assessments are valuable for healthy adults and children, especially for those with active lifestyles and athletes who want a competitive edge. In addition should you be involved with an injury (car accident, head trauma, etc.) your post-injury examination findings can be compared with your baseline data, yielding valuable information about the areas that need to be retrained for recovery.